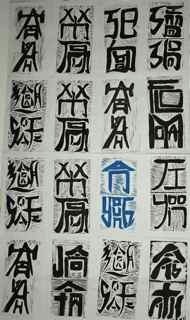 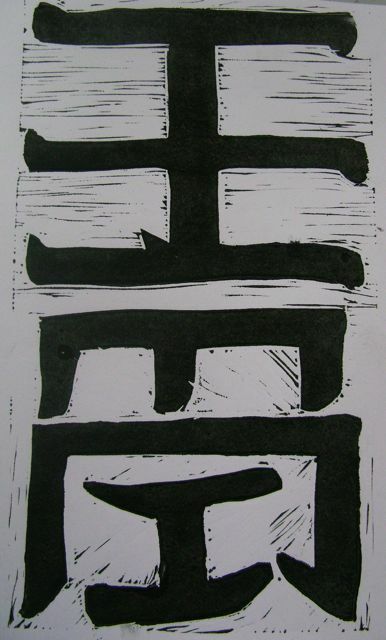 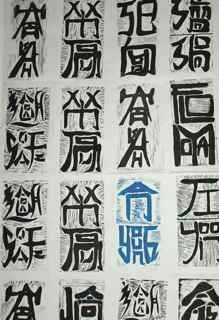 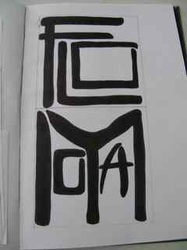 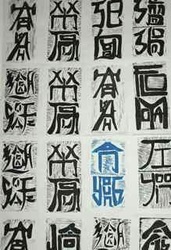 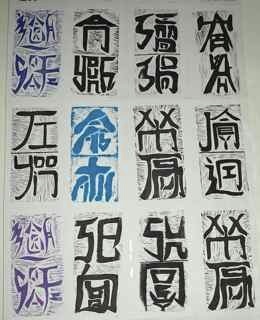 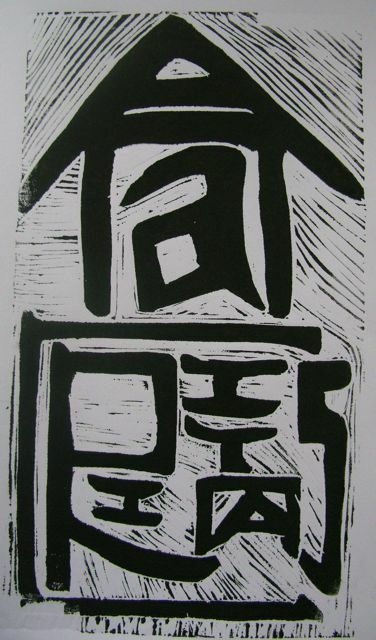 Grade 8 students researched the work of Xu Bing (www.xubing.com) and used his invention of Square Word Calligraphy to make their own name. 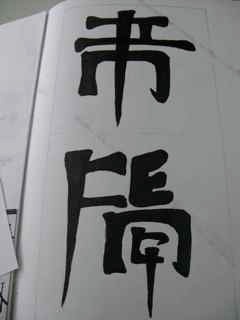 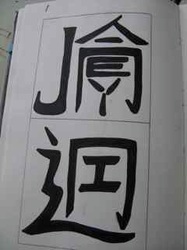 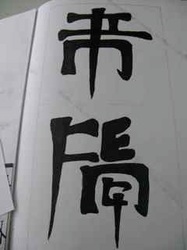 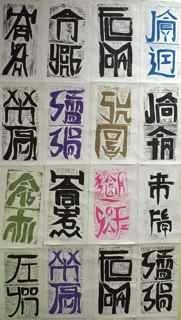 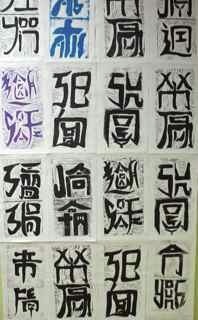 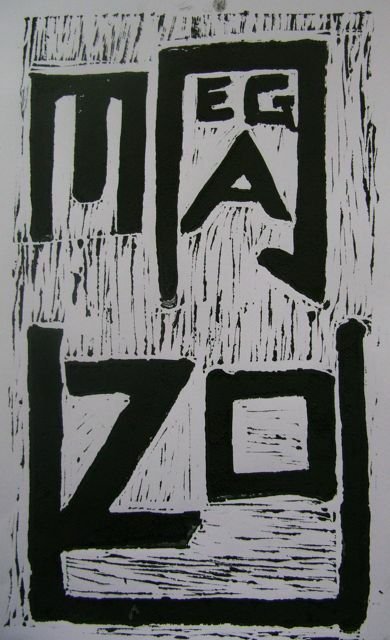 It is English letters made to look like calligraphy. 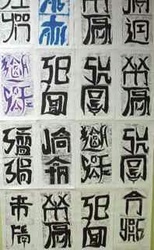 If you can't read Chinese calligraphy you know you can't read it and if you can read Chinese calligraphy you still can't read it, but if you know how to read Square Word Calligraphy you will be able to read it. 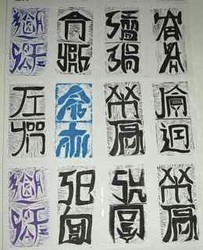 The first line shows brush work from their Art book, at the left is Flo Moya, center is Janey Lin, right is Lin Feng. 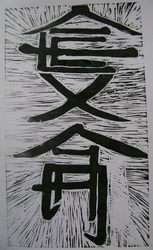 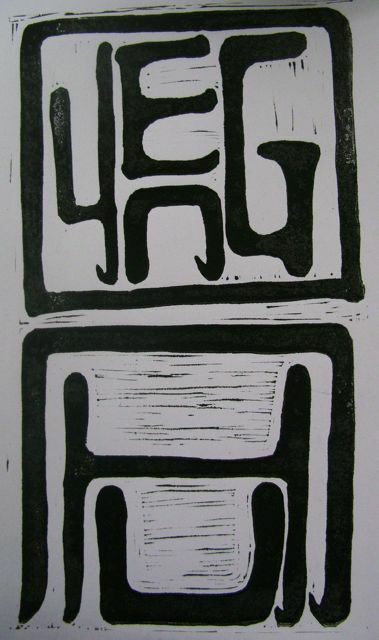 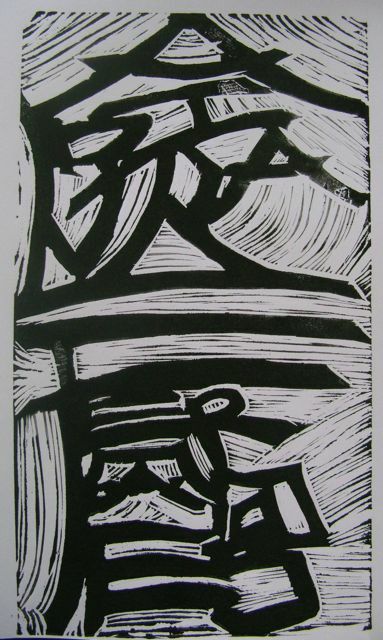 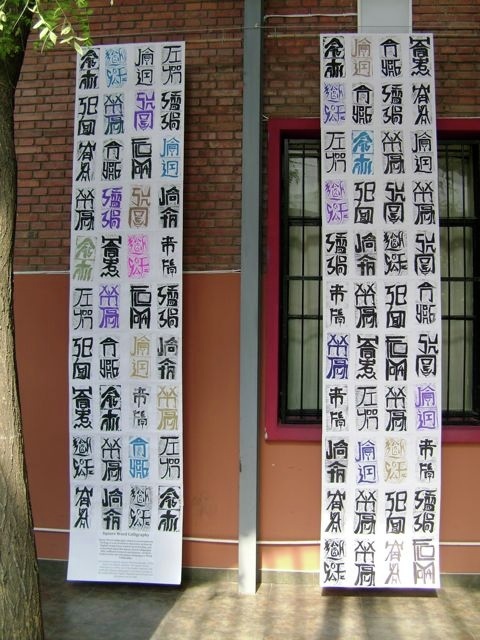 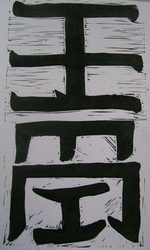 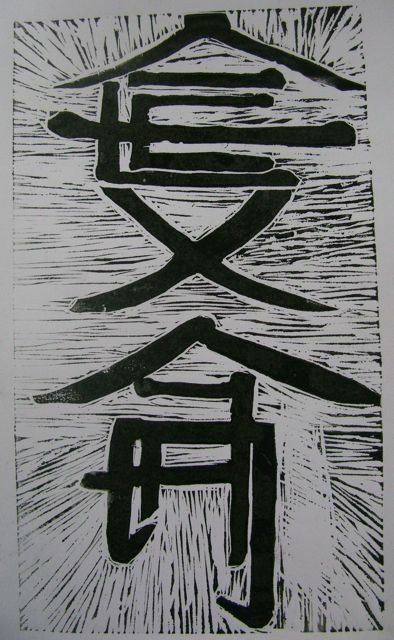 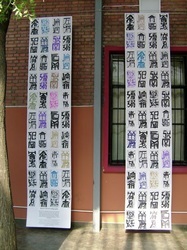 They then made lino prints and they joined them together to make a scroll, inspired by Xu Bing's "Book from the Sky".